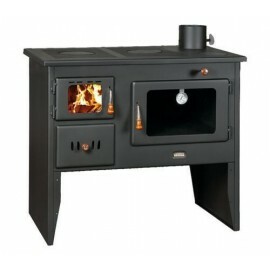 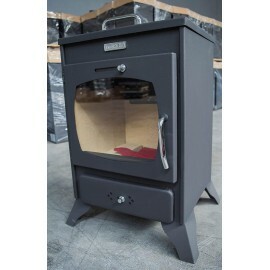 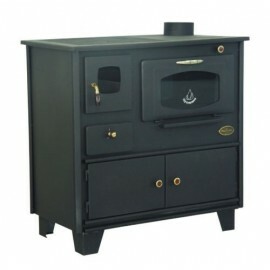 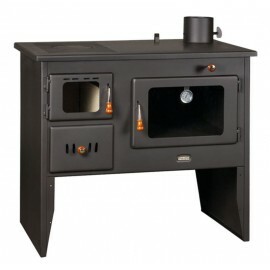 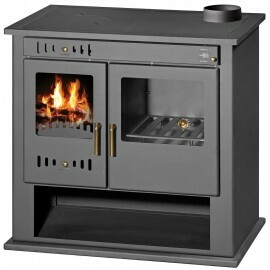 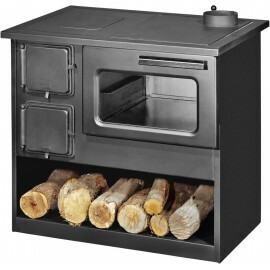 Wood Burning Stove with Oven KUPRO LUXModel Kupro Lux with OvenWood Burning Stove with OvenYou can choose the lid to be steel or cast iron.Made in Europe in accordance with the European Standard ISO 9..
Model Cooker OgnyanaWood Burning Cooking StoveStandard EN 13240:2001 and EN 13299:2001Dimensions of the Stove: Width 840 mm, Depth 590 mm and Height 790 mmDimensions of the Firebox: Width 185 mm, Dept..
Model with Oven and Hot PlatesStandard EN 13240:2001 and EN 13299:2001Ce MarkedDimensions of the Stove: Width 840 mm, Depth 600 mm and Height 890 mmDimensions of the Firebox: Width 185 mm, Depth 430 m..
Model Prity 1P34 with cast iron top and ovenDimensions of the Stove: Width 750 mm, Depth 450 mm and Height 800 mmDimensions of the Firebox: Width 200 mm, Depth 350 mm and Height 280 mmDimensions of th..
Model Cooker PLAMAK BWood Burning Cooking Stove for Central HeatingStandard EN 13240:2001 and EN 13299:2001Dimensions of the Stove: Width 840 mm, Depth 600 mm and Height 890 mmDimensions of the Firebo..
Model Prity W 12 PM with ovenPerfect for living room, dining room or kitchenWith cast iron topA large oven with perfect distribution of the heatDimensions of the Stove: Width 910 mm, Depth 560 mm and ..
Model Prometey PerfectStandard EN 13240:2001Dimensions of the Stove: Width 800 mm, Depth 470 mm and Height 810 mmDimensions of the Firebox: Width 190 mm, Depth 365 mm and Height 230 mmDimensions of th..
Model Prity W12PMMultifuel coocking stove with water jacket!DOORS ON BOTTOM INCLUDEDDimensions of the Stove: Width 910 mm, Depth 450 mm and Height 250 mmDimensions of the Firebox: Width 220 mm, Depth ..
Model Cooker VictoriaWood Burning Cooking StoveStandard EN 13240:2001 and EN 13299:2001Meets the German Standard BlmSchV 2Dimensions of the Stove: Width 900 mm, Depth 645 mm and Height 907 mmDimension..
Model Cooker Victoria BWood Burning Cooking Stove with Integral Boiler Standard EN 13240:2001 and EN 13299:2001Meets the German Standard BlmSchV 2Dimensions of the Stove: Width 900 mm, Depth 645 mm an..
Model Cooker Metalik MWood Burning Cooking StoveStandard EN 12815 EN 13240:2001 and EN 13299:2001Dimensions of the Stove: Width 840 mm, Depth 590 mm and Height 790 mmDimensions of the Firebox: Width 1..
Model Cooker METALIKWood Burning Cooking StoveStandard EN 13240:2001 and EN 13299:2001Dimensions of the Stove: Width 840 mm, Depth 590 mm and Height 790 mmDimensions of the Firebox: Width 185 mm, Dept..
Model Comfort KF with Ceramic Lining and OvenRear Flue ExitStorage for woods under the stoveStandard EN 13240:2001 and EN 13299:2001Meets the German Standard BlmSchV-2Dimensions of the Stove: Width 58..
Model Prity W15Dimensions of the Stove: Width 570 mm, Depth 530 mm and Height 930 mmDimensions of the Firebox: Width 460 mm, Depth 450 mm and Height 320 mmDimensions of the Oven: Width 380 mm, Depth 4..
Model Cooker Prity FGWood Burning Stove with OvenStandard EN 13240:2001 and EN 13299:2001Dimensions of the Stove: Width 530 mm, Depth 570 mm and Height 930 mmDimensions of the Firebox: Width 480 mm, D..
Wood Burning Stove Model with Oven NORMA FTThis stove is modern designed in accordance with the requirement of European Standard EN 13240:2001 and EN13229:2001.CE MarkedThe mounted glass is ceramic an..
Model Cooker Prity FMEWood Burning Cooking Stove for Central HeatingStandard EN 13240:2001 and EN 13299:2001Dimensions of the Stove: Width 490 mm, Depth 460 mm and Height 1030 mmDimensions of the Fire..
Model with Oven and Hot plates - Prity 2P412 Option for heat exchangers are available. 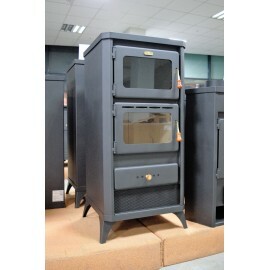 You can choose only the stove, the stove with 4 Tubes Heatexchanger or the stove with 5 tubes Heatexchanger. 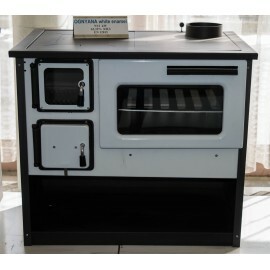 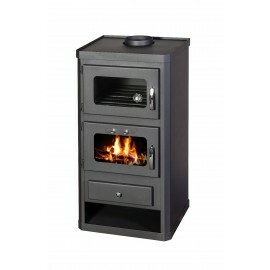 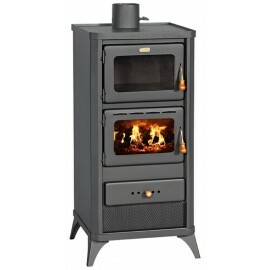 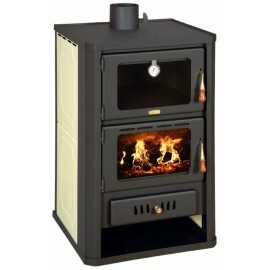 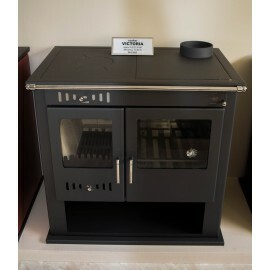 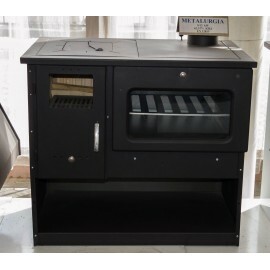 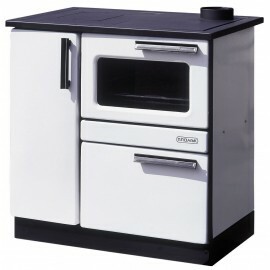 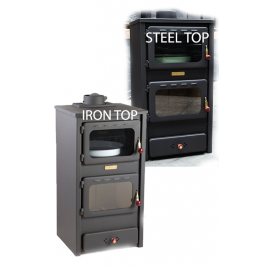 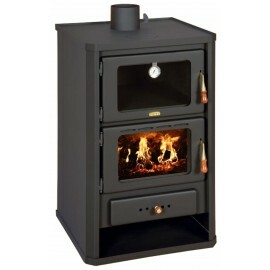 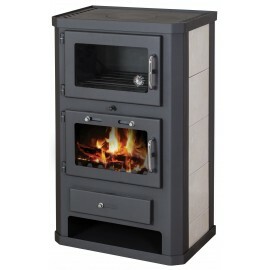 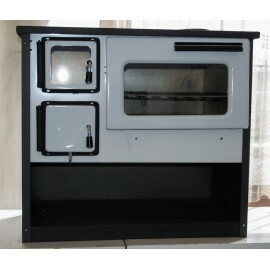 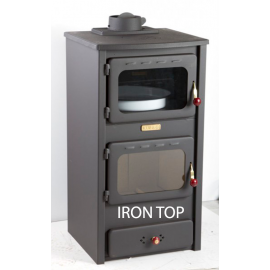 Plea..
Model with small Oven KUPRO VALENCIANAWood Burning Stove with Rear Flue ExitStandard EN 13240:2001 and EN 13299:2001CE MarkedDimensions of the Stove: Width 440 mm, Depth 400 mm and Height 740 mmDimens..